The Cardinal Dr. Cabin #2 Webcam is pointing at the trail that runs alongside the cabin. The snow depth sign is 6'H overall and 4'W. Snowmobile Trail access is directly behind the cabin on primary 142. Headed north (down the hill) towards Route 3 will bring you to Back Lake, Young's Store, and the upper trail system. Head South up the hill and you will reach all points to the south. 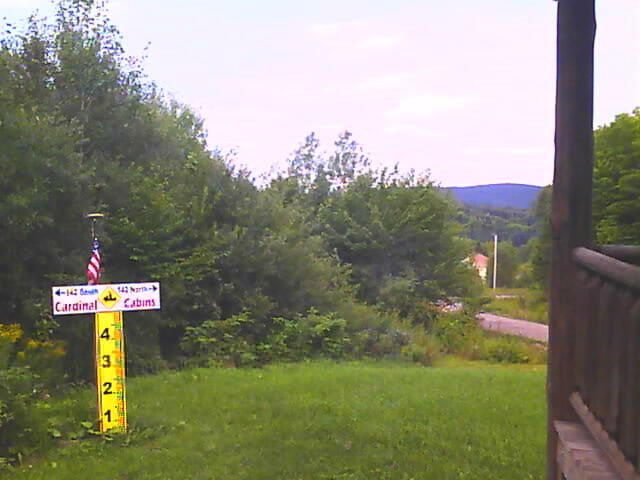 Cardinal Cabin Three Webcam - 194 A. Scott Rd. 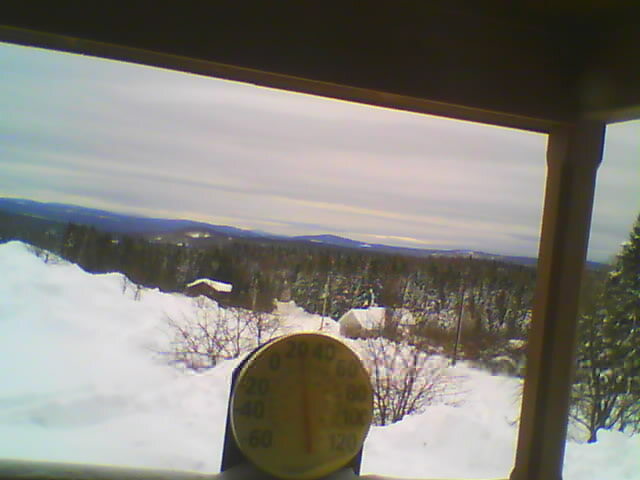 The Webcam on Cabin 3 is pointing due South and offers a 20 mile view from the front porch. Located just North of Back Lake, it is close to everything. The snowmobile trail access is directly next to the cabin. Looking West out over Back Lake in Pittsburg NH. Here is a time-lapse video of the day in 30 second snapshots. These are the "large" size camera images that have the most detail. The pictures will update every 5-10 minutes during the day so refresh your page and check back often.